Currently one of the slowest lines in Victoria, the trains are not able to go above an average of 80 kilometres per hour. As a result the line to Echuca struggles to keep up with modern demand and is limping along with old trains and tracks. The danger of these slow and old trains is obvious, with increased risk of accidents and small incidents more likely to go pear-shaped. Everyone across Melbourne and regional Victoria has become accustomed to the rail replacement bus (however does one ever really get used to a rail replacement bus?). 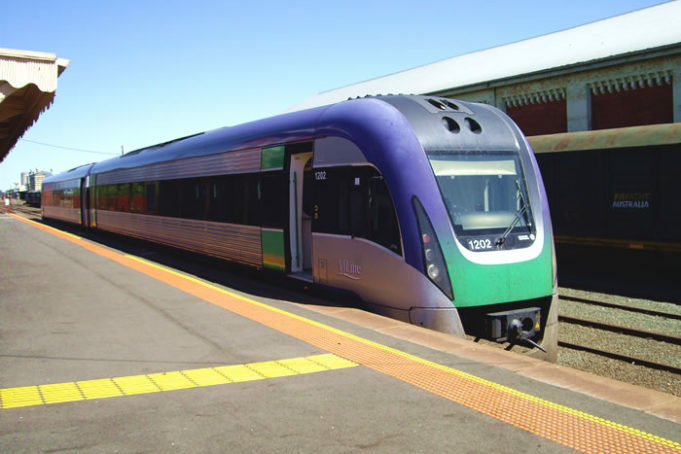 Echuca residents will find themselves in the same scenario, as these coaches become a mainstay between Bendigo and Echuca as dangerous level crossings are removed or replaced. The V-Line operators and the State Government are not taking any chances with the removal and upgrade of the level crossings along the area, and as a result residents and visitors may find themselves on the coaches for up to seven weeks as they are fixed. The problems with the boom gates along level crossings have been getting progressively worse. As the system is losing time, and giving pedestrians and cars less and less time between the gates coming down and the train clattering past (25 seconds down to 15 seconds). Local residents have been pushing for updates for a while, however it can take a near miss to alert Local and State Governments to the seriousness of the issue. Echuca is most known for its lively country scenery, historical museums and attractions, and the Murray River Paddlesteamers pleasantly chugging down the river. Increasing the speed and frequency of trains on the Echuca line would be beneficial to visitors and to Echuca itself as it would enable more tourists to stop by the picturesque area. As infrastructure works across the state increase, more and more areas are expressing their need for upgrades. This includes Shepparton, Portland and now Echuca. Echuca not only needs faster speeds, newer trains and boom-gate replacements, but also better reliability, as in January the record of punctuality dropped to an appalling level. Improving incentives to travellers and commuters will increase the users of the Echuca line, and allow people to make plans. It will decrease the risks involved with older trains and overused machinery, and bring more visitors and tourists back to the Northern Victoria area. Upgrades will also allow regular users to estimate their travel time more accurately and plan their day accordingly. Upgrades along the Bendigo and Echuca line will also increase much-needed jobs in the area, and open up more positions for qualified individuals across many different sectors.